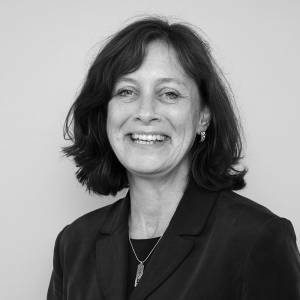 With a professional career spanning over two decades, Gail is a highly experienced Consultant Clinical Psychologist who has worked in Child and Adolescent Mental Health Services (CAMHS). Prior to leaving the NHS in 2016, Gail was the West Sussex Lead for Clinical Psychology in CAMHS, providing supervision and ensuring professional standards for the Clinical Psychologists. She was also involved in the strategic development and implementation of high-quality service provision as well as being responsible for wider leadership tasks within Child and Adolescent Mental Health Services. Gail has considerable knowledge, skills and expertise in complex assessments for children, adolescents and families. She also has extensive experience in working therapeutically with children and young people with significantly complex emotional and behavioural difficulties, as well as providing specialist support for the families that care for them. Over the last seventeen years, Gail has worked as an Expert Witness in Family Court Proceedings. She has substantial expertise in assessing attachment patterns in children and adolescents and more recently has been applying her wide-ranging skills and knowledge to carry out specialist Therapeutic Needs Assessments for looked after and adopted children and young people who have experienced early developmental trauma and multiple attachment disruptions. Gail utilizes a range of therapeutic techniques and interventions in her work with children and young people. She has additional expertise and training in Interpersonal Therapy (IPT) and is a senior practitioner in this model of therapy. She feels strongly that assessments and therapeutic interventions are tailored to match the unique needs of each child or young person she works with. Gail is a fully registered Chartered Clinical Psychologist with the Health and Care Professionals Council (HCPC) and a fully qualified Interpersonal Therapist with IPT-UK.